Willie Hopkins, Clay Pioneer. 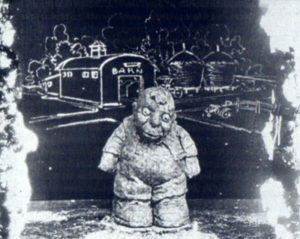 From The American Cinematographer June 1923, there was an article about Willie Hopkins who had done early clay animation in films from 1916-1918 including a series called Miracles in Mud for the Universal Film Magazine. “The animation of clay brings together one of the oldest of arts and one of the newest of arts for the entertainment of contemporary audiences. The arts, of course, are sculpture and of motion picture. “Hopkins has learned that a clean light-colored clay found in Placer County, Calfiornia best lends itself to animated work. This, a form of pottery clay, does not produce hilattion to any marked degree and hence does not work against effective lighting. Clay that is too fresh or wet cannot be used, as it does not, when worked into figures, stand up long enough to permit filming but sinks, slides and falls. The filming of the various positions requires attention to minute details. “When he began his experiments, Hopkins working in a studio well lighted with daylight in Dallas, Texas where he conceived the idea, used a primitive motion picture camera and did all the shooting himself. 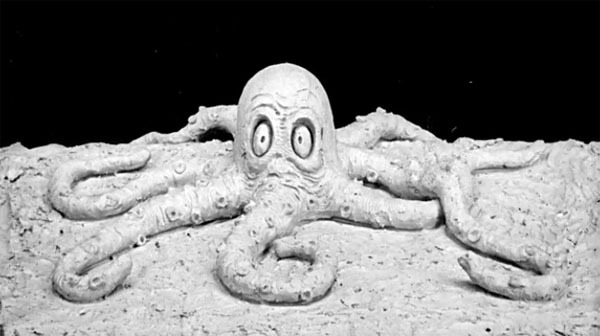 “Hopkins’ subjects of clay animation range from crawling worm to a speeding locomotive. His experience is that the public is most interested in humorous changes of expressions on a human face. The Rugrats Movie. The Rugrats Movie (1998) based on the Nickelodeon television series was co-directed by Norton Virgien. Two episodes of Rugrats that won Emmy Awards were directed by Virgien. He said when the film was first released: “Most of us who worked on the first season all had little babies about the Rugrats ages at home. That’s what we knew at the time. That made it a lot different from many of the shows that are kind of genre shows about superheroes or cats and mice. “So many people that have tried animation outside of Disney have followed the template to such a degree that it’s hard to tell them apart. 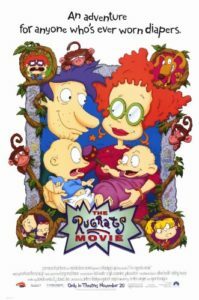 Thankfully, the show had proved itself to the degree that Paramount and Nickelodeon were willing to let us continue playing to the strength of Rugrats on television. Betty Lou Gerson. Actress Betty Lou Gerson who passed away in January 1999 was the voice for Disney’s Cruella DeVille. “I got the idea she had become a kind of cult figure when I went to my manicurist. Her niece had an English boyfriend and when he heard I was there, he came over specifically to meet Cruella.” Few remember she was also the narrator for Disney’s Cinderella (1950) and had a small cameo as an old crone in Mary Poppins (1964). Although she retired in 1966, she did one last cartoon voice as Frances Albacore the fish in Cats Don’t Dance (1997). 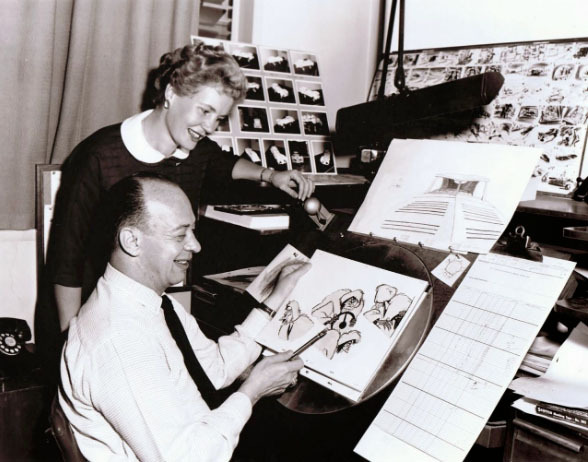 Disney animator, Marc Davis, and Betty Lou Gerson, the voice of Cruella de Vil. A Group Effort. 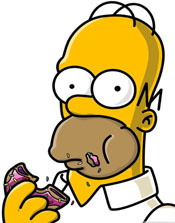 From The Comics Journal April 1991, The Simpsons’ Matt Groening said, “The Simpsons is a group effort and I can talk about The Simpsons with great enthusiasm because I feel like I’m talking about everybody’s work on the show: the writers, the animation directors, the actors have all contributed so much to making this show funny and a joy to work on. (Producer James L.) Brooks at the very beginning said his ambition for the show was to maintain an emotional reality that was not cartoony, the goal being to make people forget that they were watching a cartoon. Val Kilmer is Moses. In the Daily News January 3rd, 1999, actor Val Kilmer talked about doing the voice of Moses in Dreamworks Prince of Egypt (1998): “On a personal note, my little brother who died knew the head of special effects at Disney. Nobody knew how since he was only 14 or 15. He was quite a brilliant kid and was just obsessed with animation. It was a way to honor my brother. 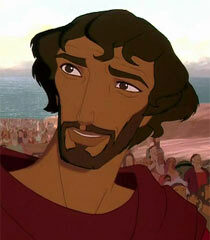 In addition I have a seven year old daughter who goes to Sunday school and loves saying, ‘My daddy’s Moses’. 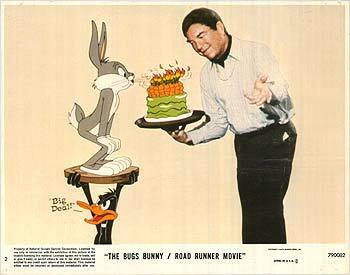 Before his final transformation into Colonel Sanders, Chuck Jones briefly appropriated the guise of Seventies-era Jerry Lewis. What a great observation!! :o) Hilariously astute!! Really surprised that Chuck Jones gave credit to Bob Clampett in his 1987 letter to the Daily Variety. Was he afraid of being called out if he didn’t? The reason Jones gave credit to Bob Clampett in that letter to Variety was likely because Clampett was dead by then and no longer in a position to claim credit, or excessive credit , for anything having to do with the origins of the Warner Bros. cartoon characters. Not that I’m saying Clampett was guilty of that, but some of his former co-workers believed he was.